I didn’t for a second consider that I could manipulate the images on my computer, I guess this never crossed my mind because I had never been able to do it before, everything I listed were from the film days. I will be honest here, when I bought my first Digital SLR I was very much in the “The picture should be straight out of camera” camp in fact I used to get quite annoyed when I saw amazing photos in magazines where people admitted they had made adjustments in Photoshop. Why was I annoyed was it because I believed it should have been straight out of camera? The answer is NO I was annoyed because I was getting to grips with digital photography and was scared about the prospect of learning to use photo editing software, for me it seemed like way too much to learn! Now to address the argument it should be straight out of camera unless you shoot in RAW the image is not how the camera originally saw it, fact is the camera processes the image and makes adjustments prior to converting it to a JPEG the level of the adjustments depend on the camera and some of these can be specified in the camera options such as sharpening, picture styles etc. Film cameras didn’t do this so already the image has been manipulated. So do I manipulate my images? The answer is it depends, in the vast majority of cases I will make tweaks to levels, brightness, clarity and a bit of sharpening. If there is something in shot that I didn’t want there such as a piece of litter then I will clone it out, however I will never put anything in an image that wasn’t there. Other times I may take two images on a tripod and combine them to overcome issues with dynamic range which is a standard technique called bracketing, a typical application of this is at sunset when the sky is brighter than the ground. Every professional digital photographer I have met (apart from one) are the same as me in that respect, firstly they want the photo to be as they saw it through their own eyes and secondly they would rather be out taking photos than staring at a computer screen! Another area where manipulation is a must is of course panoramic photographs, to get a panoramic with a good level of detail you need to take multiple shots and stitch them together in software. So rewinding back to earlier I said “I was getting to grips with digital photography and was scared about the prospect of learning to use photo editing software, for me it seemed like way too much to learn!” so what happened? Well the answer is I got a given a copy of Photoshop Elements one Christmas and started to do bits and pieces as I needed to, this started with cropping, some brightness adjustments, making birthday cards until eventually after following many tutorials in magazines I could do anything I pretty much wanted! So now I find I have a subscription to the full version of Photoshop and Lightroom, I didn’t see that coming! 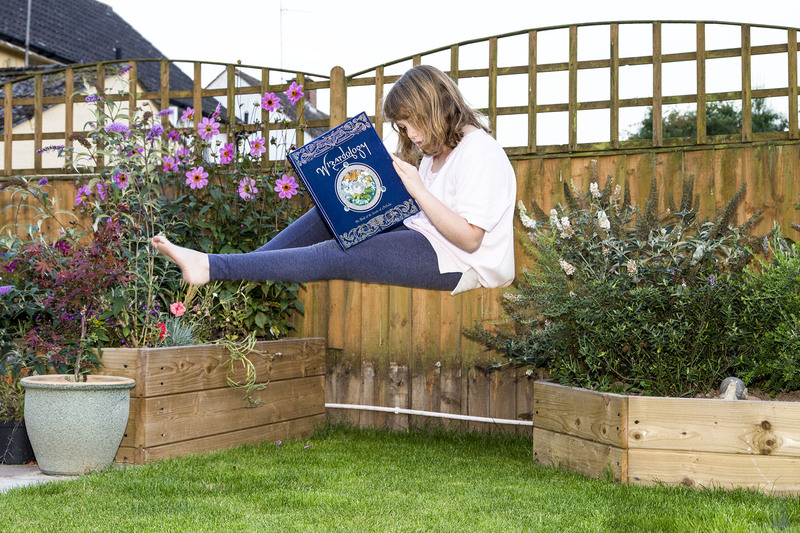 Of course one thing I have not said that Digital manipulation can be used for of course is just plain old fun, bellow is an image I took to help with my daughters homework which was “To supply a photo of yourself reading a book somewhere unusual!”. I will let you into a secret even with this I made sure I minimised the amount of digital manipulation I needed to do, I will show you in my next article how I did it (if you haven’t worked it out of course).